Chris ‘The Duchess’ Walton holds the Guinness World Records for the longest fingernails. 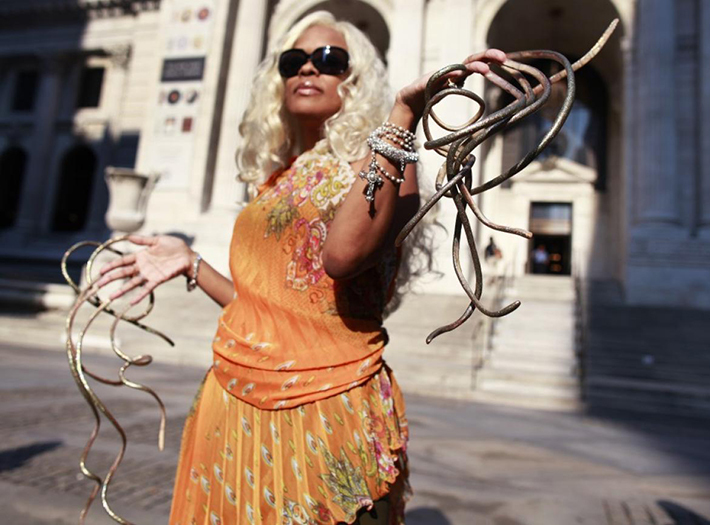 Her nails measure 9 ft. 7 inches on her right hand and 10 ft. 2 inches on her left. 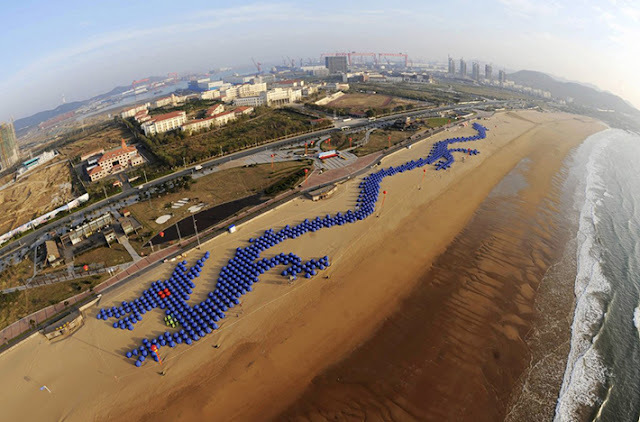 The largest jigsaw made of tents was constructed in Qingdao, Shandong province in China. It took around 900 tents to complete and is the first record of its kind. 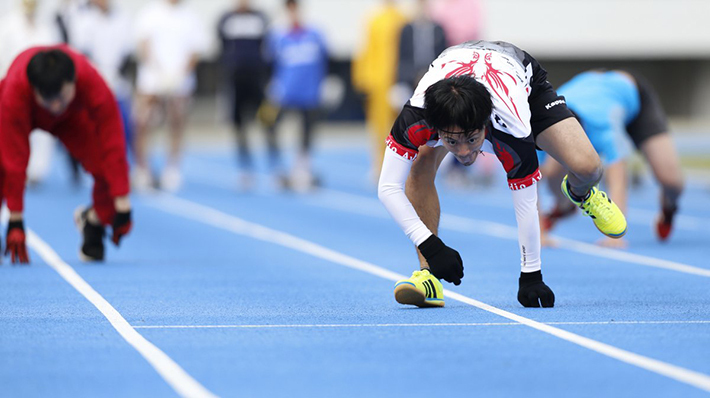 At 46 minutes and seven seconds, China’s Jin Songhao set the Guinness World Record for the longest time spent in direct full body contact with snow on January 2011. 4,483 people hula-hooped for seven minutes at Thammasat University stadium on the outskirts of Bangkok on February 2013. 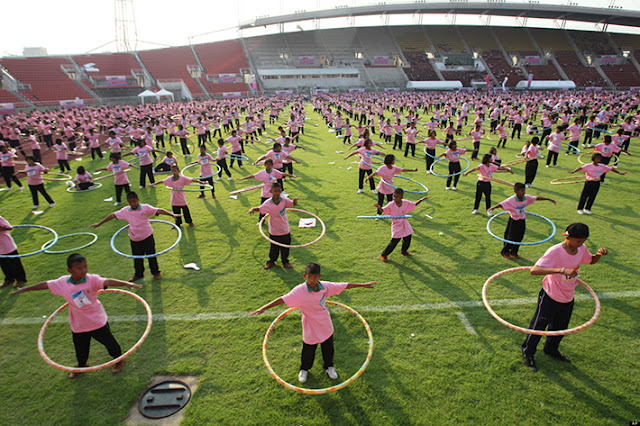 They successfully set the Guinness World Record for most number of people simultaneously hula-hooping. 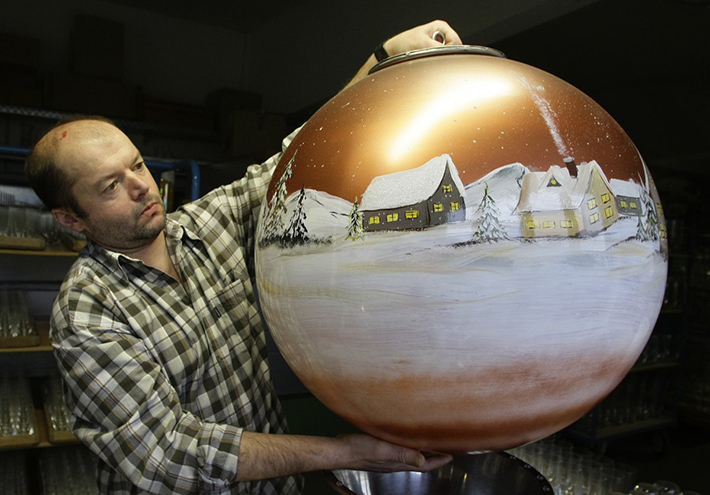 Franz Paternosta holds up a Christmas tree bauble in the Bavarian glassblowing company Joska on December 17, 2008. The company produced the world’s biggest glass Christmas tree decoration with a diameter of 25.6 inches and a weight of 44 pounds. 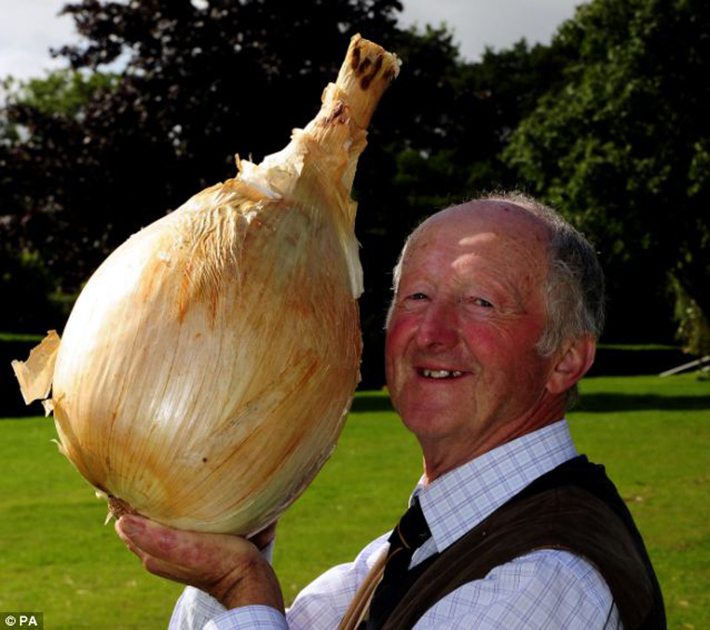 Pete Glazebrook’s prize winning onion is the Guinness World Record holder for heaviest onion and has held the title since September 2011. It weighed a stunning 17 pounds. 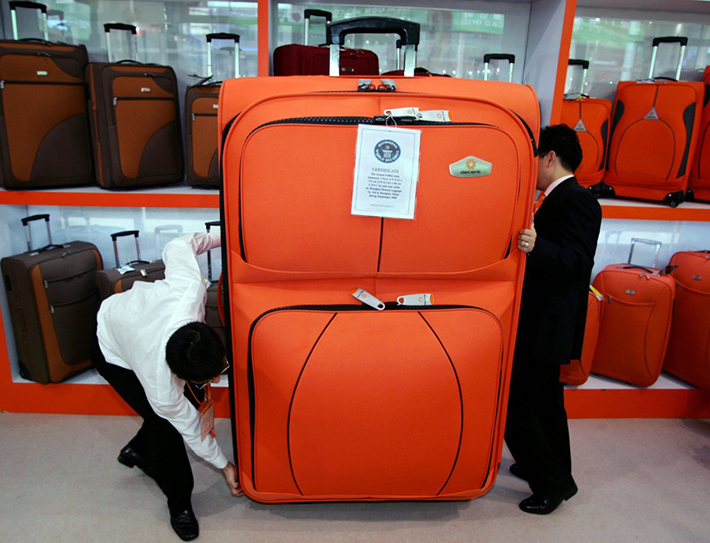 Standing nearly six feet tall, this piece of luggage (which was introduced in China), has been certified as the world’s largest. 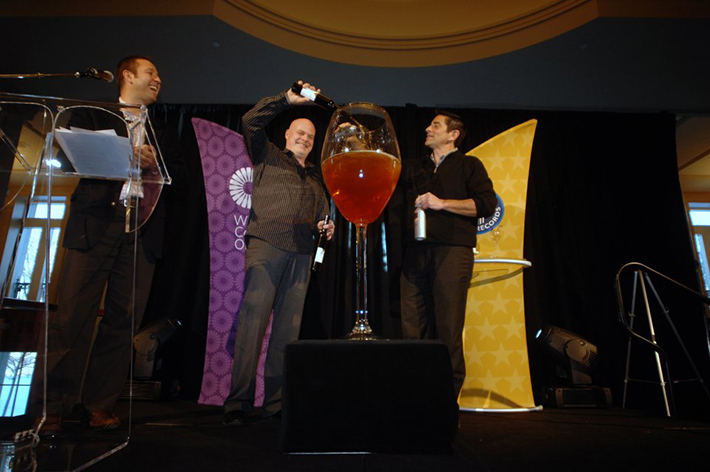 On January 14, 2011, over 30 Ontario wineries poured 27 liters of icewine into a four-foot-tall flute, successfully setting the pouring record. 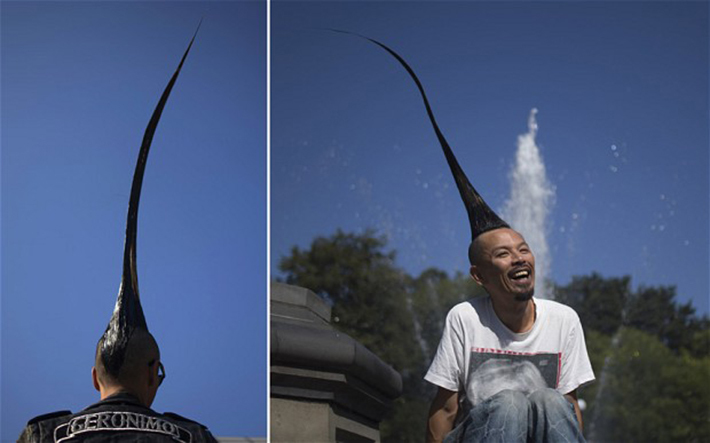 Kazuhiro Watanabe, a Japanese fashion designer, currently holds the Guinness World Record for “tallest mohawk” at 3 feet and 8.6 inches tall. 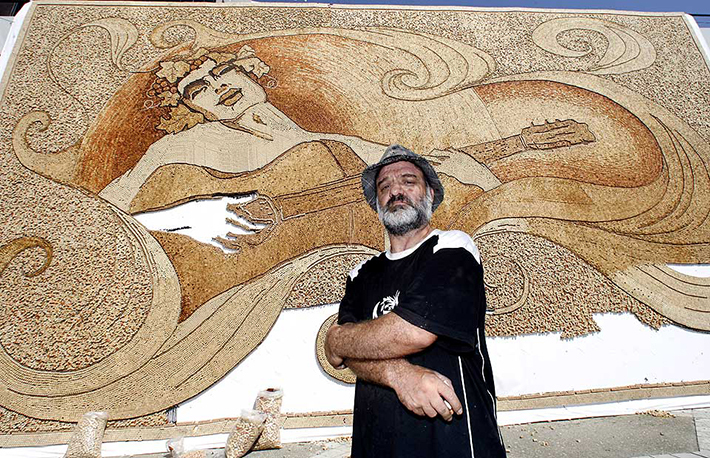 1,010 bikini-clad women posed on Australia’s iconic beach Bondi Beach, setting a Guinness World Record for the largest swimsuit photo shoot. 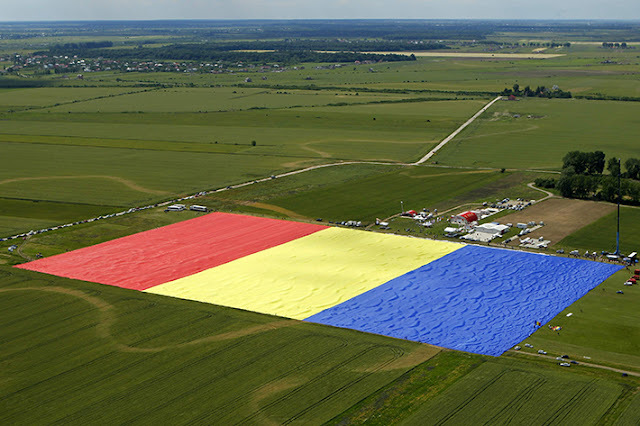 In May of this year, Romania set the Guinness World Record for world’s biggest national flag in Clinceni. The flag measured 1,146 feet long by 744 feet tall. 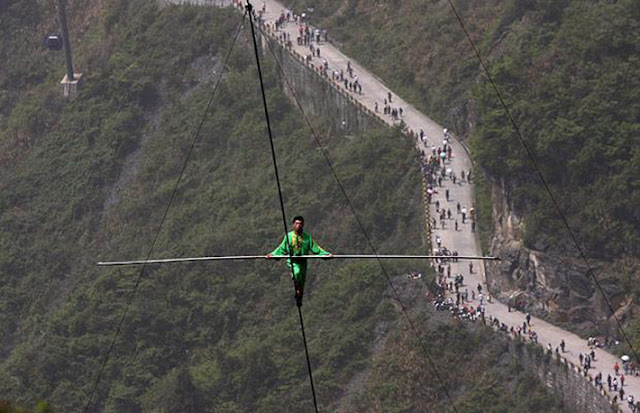 Samat Hasan, a 24-year-old stuntman from China, walked on a 2,300 ft rope with a 1.2 inches diameter and set at a 39-degree gradient and successfully broke the Guinness World Record for aerial tightrope walking. Sri Lankan couple Nisansala and Nalin breaks the Guinness record for a wedding with the most bridesmaids for a bride in Negombo in 2013. 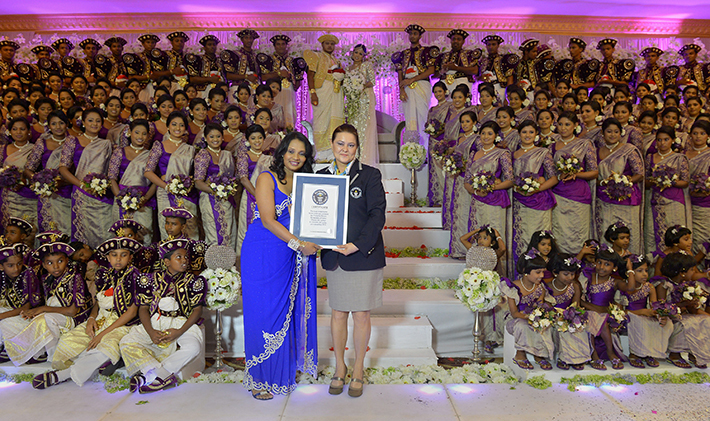 They had 126 bridesmaids and 25 groomsmen, accompanied by 20 page boys and 23 flower girls. A golden retriever named Charlie, owns the Guinness World Record for the loudest bark. 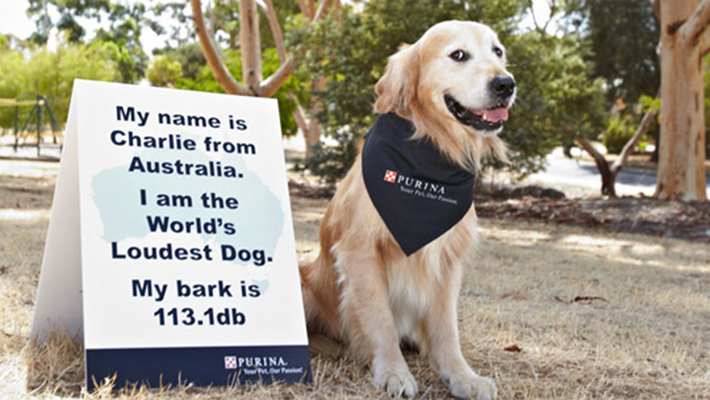 He registers in at 113.1 decibels. Saimir Strati, an Albanian artist, set a record by gluing 229,764 corks of various shapes and colors over a plastic banner measuring 42.5 by 23 feet to make the art piece. 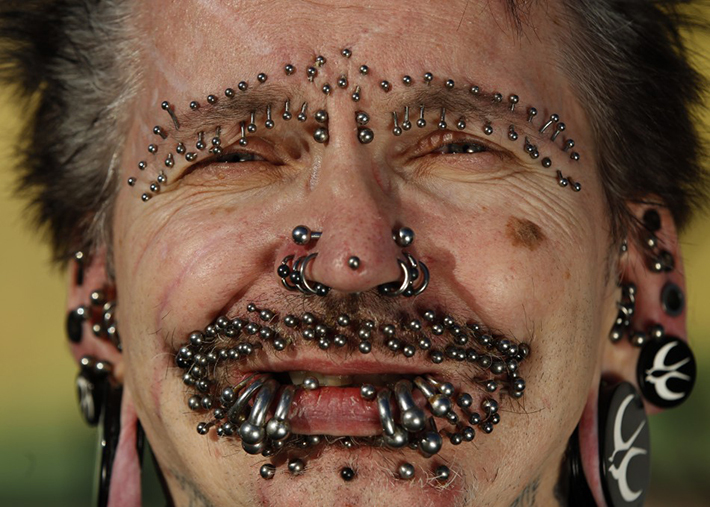 He worked 14 hours a day for 28 days straight. 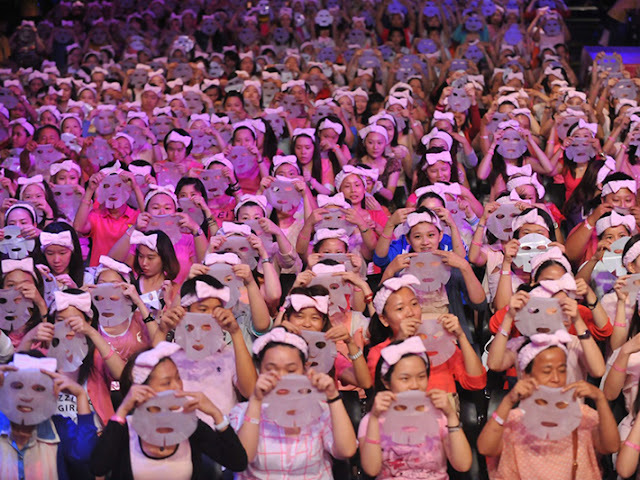 A group of 1,000 women set a record by simultaneously receiving a facial massage in Jinan, China. At an event aimed at raising awareness for breast cancer prevention, this 82 by 141 ft. swimming pool was filled with one million ball pink and green plastic balls during a Guinness World Records attempt at the Largest Ball Pit at Kerry Hotel in Pudong, Shanghai in 2013. 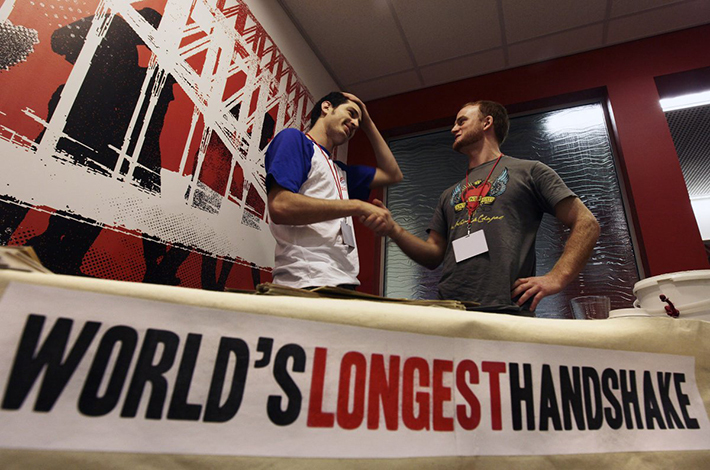 Jack Tsonis (left) and Lindsay Morrison (right) attempt to break the world record for the longest handshake in Sydney on September 21, 2009. Paddy Jones holds the record for the oldest Salsa Dancer in the world. 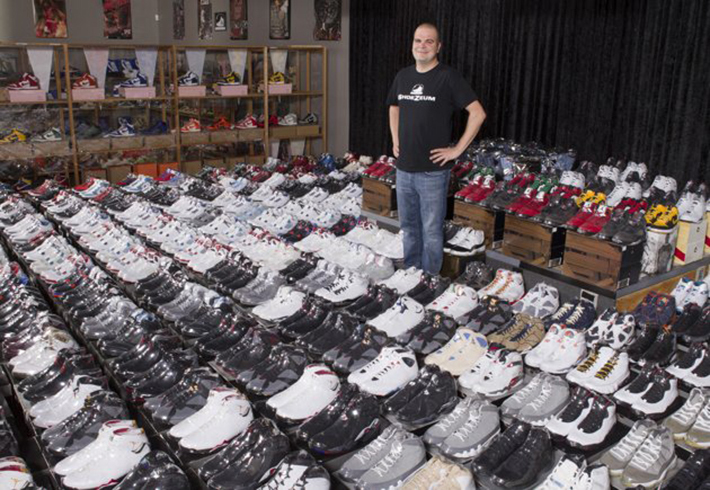 Jordan Michael Geller owns one of every model of Air Jordans ever made. He poses here with his collection of Nike Air Jordan Retro sneakers at the “ShoeZeum” in downtown Las Vegas, Nevada. He owns more than 2,500 pairs. On February 17, 2012, French cyclist Robert Marchand set a world record for cycling non-stop for one hour in the over 100-year-old category at the Union Cycliste Internationale velodrome in Switzerland. 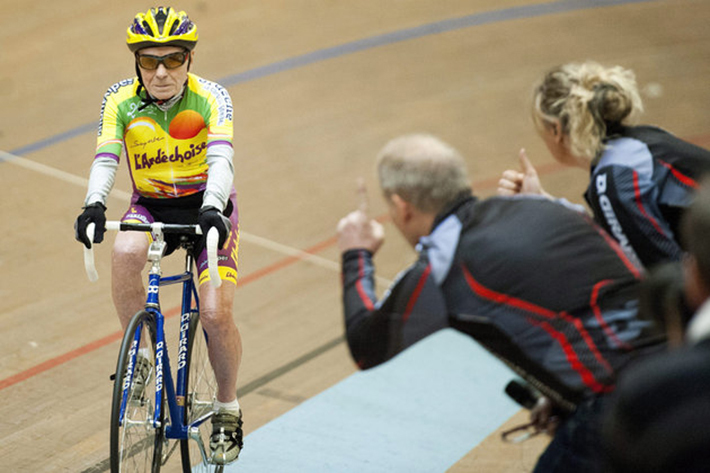 Marchand, born November 26, 1911, cycled 15 miles around the 200 meter indoor track to set the record. 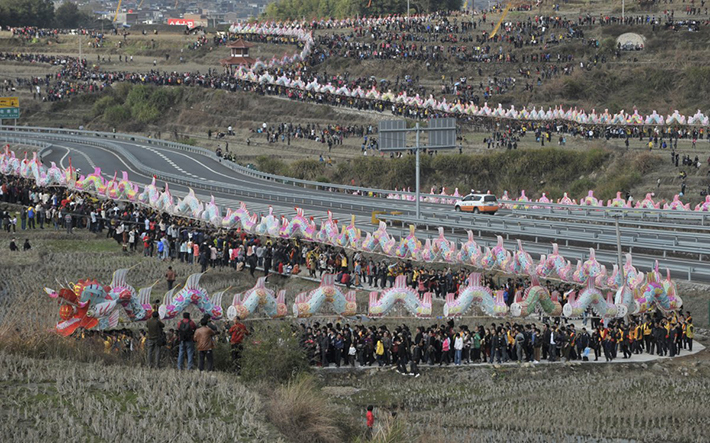 On February 6, 2012, villagers perform the annual “dragon march” to celebrate the Lantern Festival in Gutian township, China. The marching dragon, which was made of paper and bamboo connected by wood planks, set the new Guinness World Record of the longest parade float with 2596.8 feet, according to local media. Freddy Nock from Switzerland balances on the ropeway of a cable car leading to Germany’s highest mountain, the 9,718 feet Zugspitze. 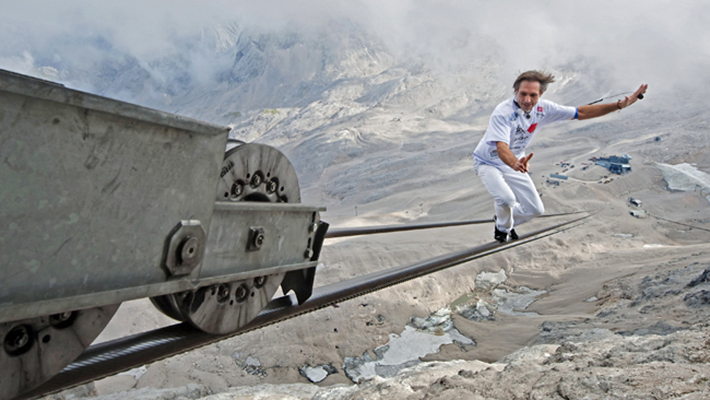 He balanced on the 3264.4 feet-long rope to break his own world record. 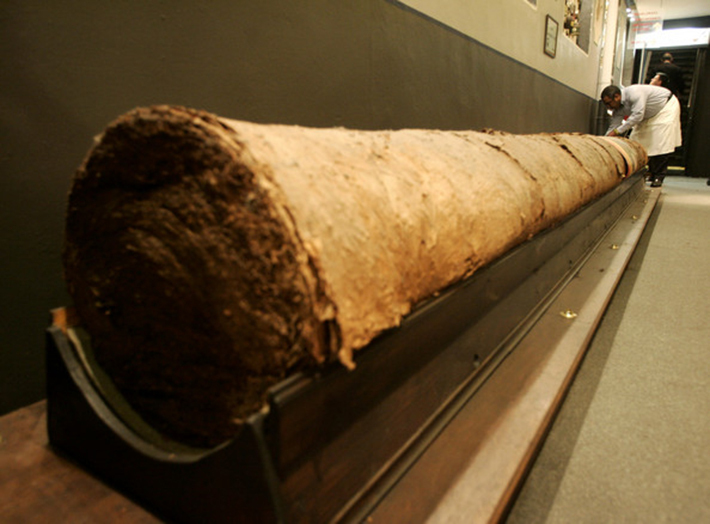 Stretching 268 feet 4 inches (or most of the length of a football field), this Havana is the world’s longest cigar. On July 28, 2013 in Taipei, 1,213 people broke a Guinness World Record by applying facial masks for 10 minutes at the same time. 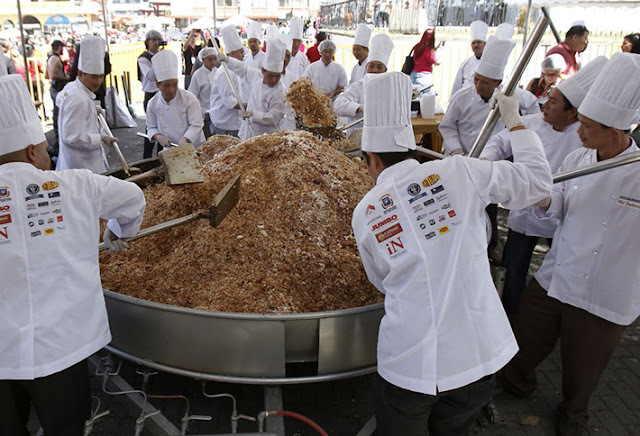 On February 2013, 52 chefs set the world record for the largest Cantonese fried rice cooked at one time. 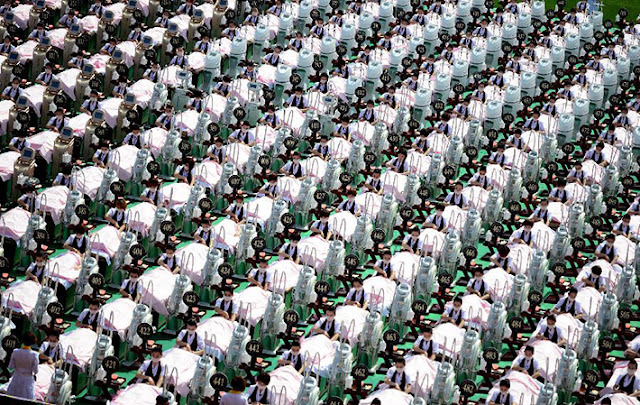 The 3,000 pounds fried rice served over 7,000 people. Chinese beekeeper She Ping covered his body with 73 pounds of bees (around 330,000 bees) to shatter the previous record of 59 pounds. 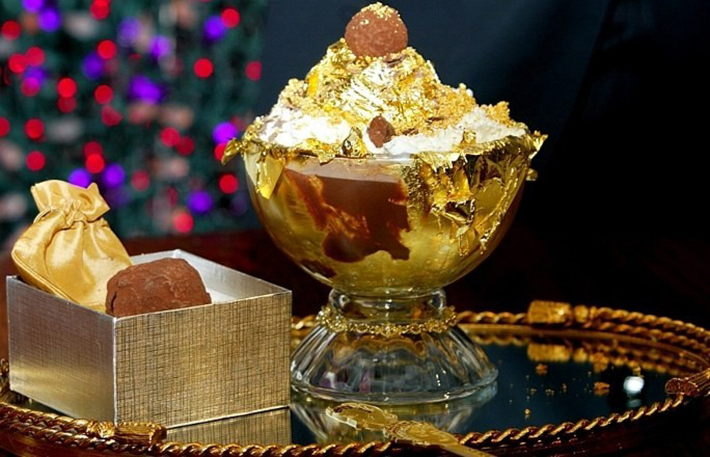 The most expensive dessert in the world is the Frrrozen Haute Chocolate. 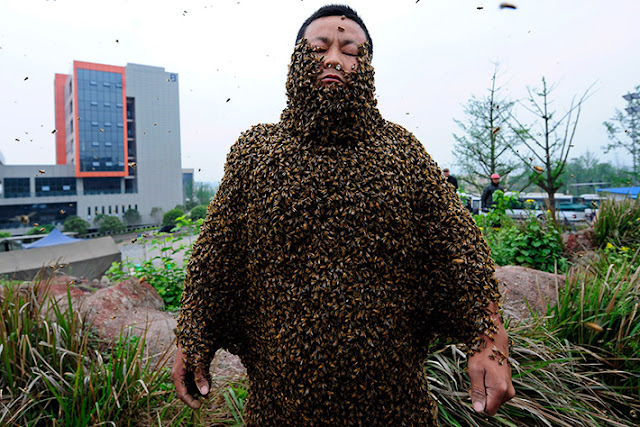 It costs around $25,000. 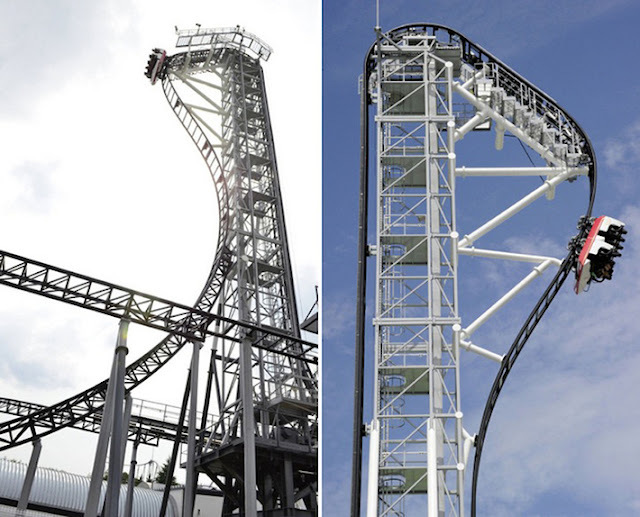 With a free-falling angle of 121 degrees, the ‘Takabisha’ roller coaster is the Guinness World Records holder of the world’s steepest roller coaster. It is located at the Fuji-Q Highland amusement park near Tokyo. Runners dressed in inflatable Sumo costumes claimed the new world record for a mass Sumo Suit gathering at a run in London in June 2010. 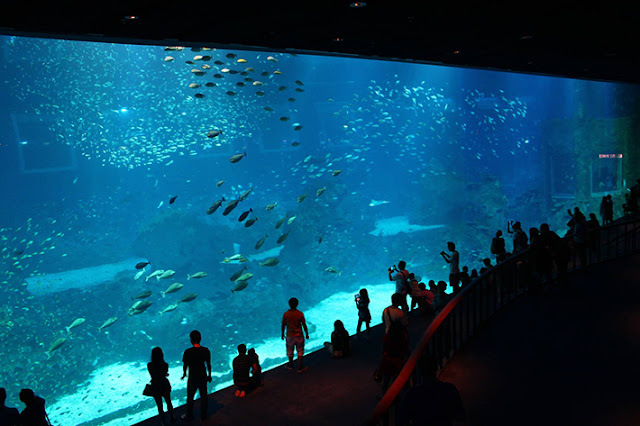 Singapore’s S.E.A Aquarium is so massive that it holds two records: the world’s largest aquarium (80,000 animals, 800 species and 42.9 million liters of water) and the aquarium that has the world’s largest acrylic panel. 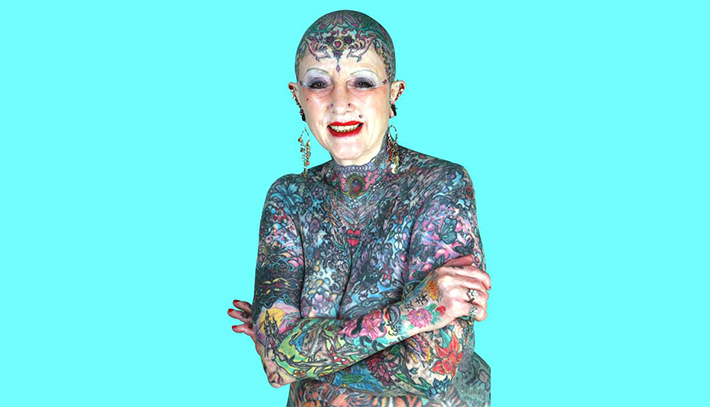 Isobel Varley from Spain holds the record for the most senior tattooed woman in the world. 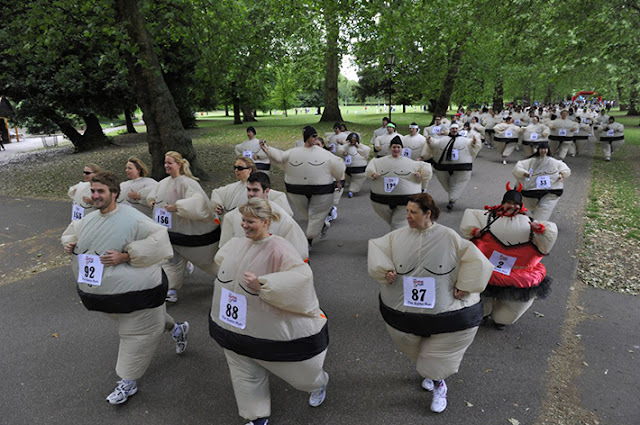 On August 8, 2010, 102 thrill-seekers gathered to set the record for the most naked riders on a theme park ride. Using the ‘African Patas monkey’ style, 37-year-old Takashi Kokubu set a new Guinness World Record for running a four-legged 100 meter race in Tokyo. 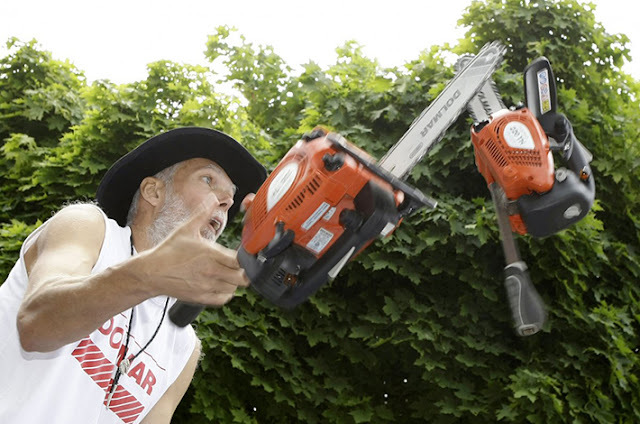 He clocked in at 16.87 seconds. 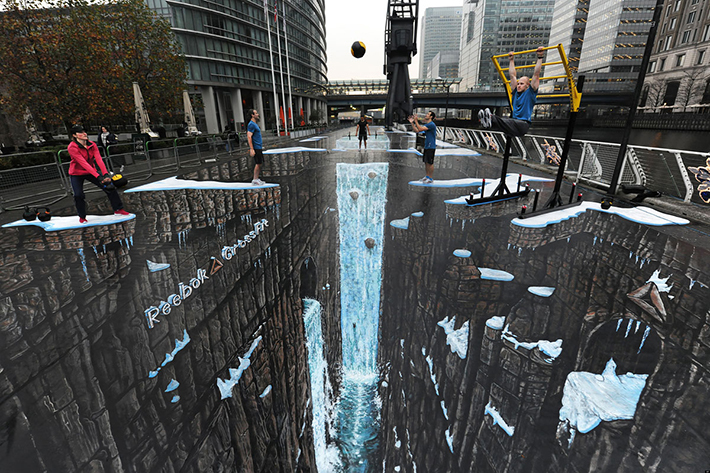 The world’s largest 3D painting. It measures 12,000 square feet and is located at the Canary Wharf in London. 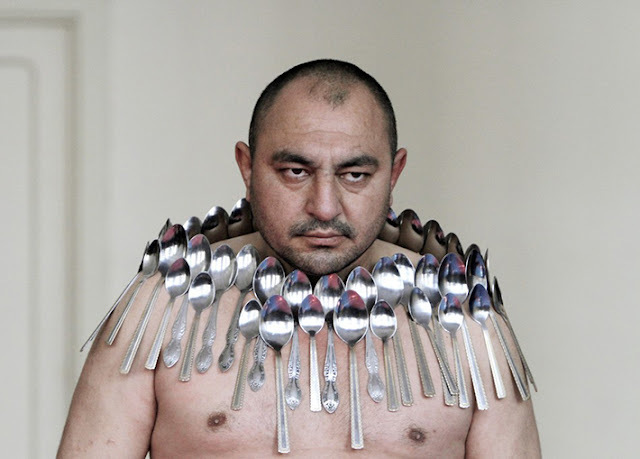 Etibar Elchyev took the title for ‘Most spoons balanced on a human body’ by putting 50 metal spoons on his body. No, he didn’t stick them to his skin.